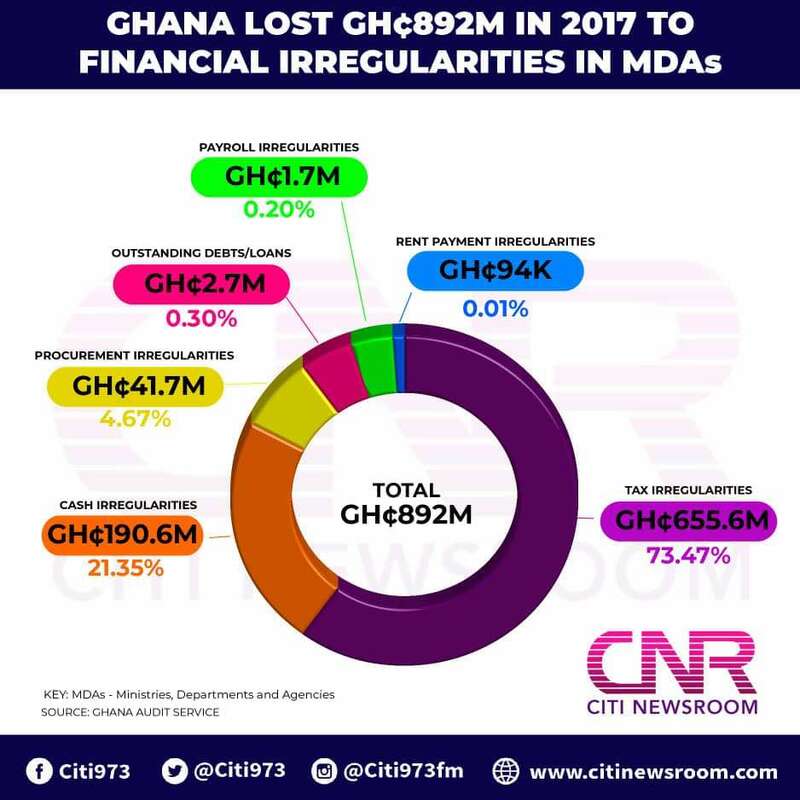 Ghana lost GH¢892 million in the year 2017 to what is described as financial irregularities in the operations of various Ministries Departments and Agencies (MDAs). The overall financial impact of weaknesses and irregularities identified in the course of the audit amounted to GH¢892,396,375.19. Tax irregularities amounting to GH¢655.6million represents 73% of the losses recorded in 2017.